GatsbyLifestyle: The 10 Most Stylish Musicians Of All Time. The 10 Most Stylish Musicians Of All Time. Of all the people we put on pedestals for whatever gifts they have, it is musicians – not great actors, or writers, or painters – who most influence the way we dress. What they wear and how they wear it is part of how singers and songwriters communicate their message to the world. Not as important as the notes or the lyrics, perhaps, but essential in a way that doesn’t apply to any other type of artist. Bands, singers, rock and roll stars: they’ve been catalysts for every fashion movement in British history. (he didn’t make ours). Maybe the absence of Nick Cave or Jay-Z is travesty. Maybe you really think Harry Styles will still be setting trends in 15, 10 or even 5 years time. What we can all agree on, though, is that as well as stirring our souls, giving voice to our pain and getting our hands and feet doing funny things without us necessarily wanting them to, these men all taught us something about how to look good. And for that, as well as the music, we can be a little thankful. A classic example of growing into one's style, the Arctic Monkeysfrontman gradually ditched the high-street polo shirts and messy mop of hair as the band’s success saw them exploring far-flung corners of the world. 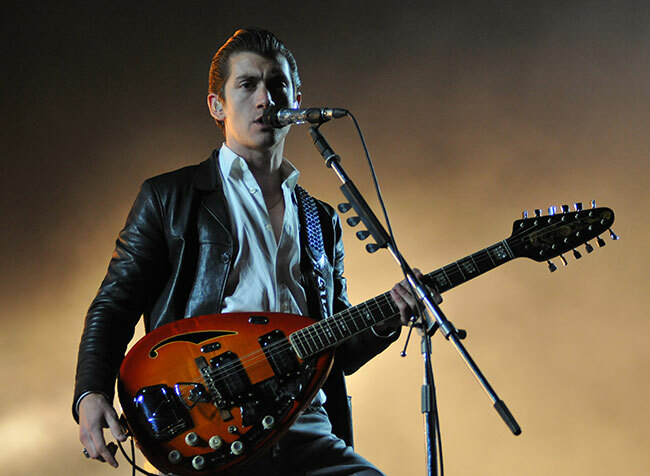 Turner understands how to dress for his narrow, slender frame, and although he’s grounded in sharp, teddyboy style he isn’t defined by it by it. He rocks a tuxedo jacket or a leather jacket with the same laid-back defiance, and his fantastic hair has been emulated by men all over the country. Setting himself apart from the pack, Gainsbourg turned away from the typical hippy stylings of the sixties to focus on tailored suits and luxury pieces, a natural fit for his sophisticated, composed songwriting. 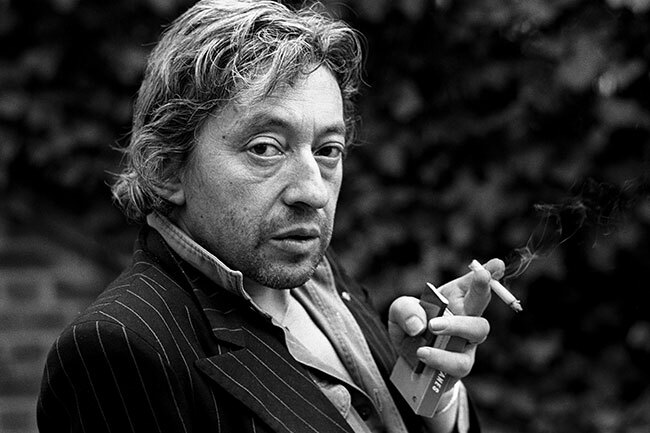 With his career not taking off until he was midway into his thirties, by the time Gainsbourg arrived on people’s radars he was sartorially on top of his game, and he remained so throughout his career, earning him much praise for his decidedly nonchalant take on high-end. 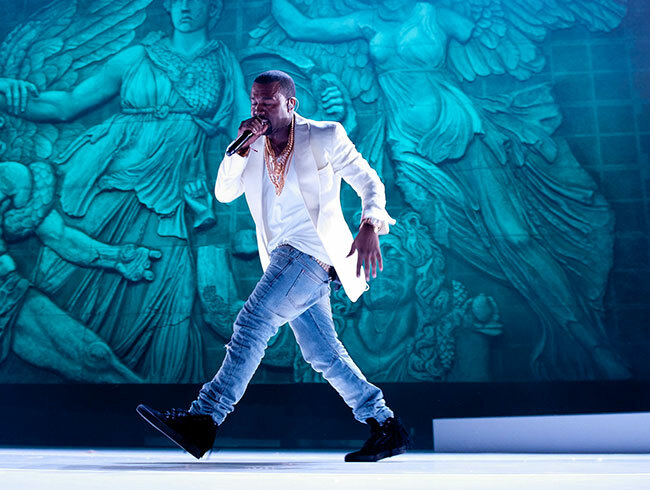 Rants, leather trousers and a general sense of entitlement might have kept Kanye off the list altogether, but like it or not, Kanye has had a huge hand in moving the conversation about fashion and designer brands to a whole new audience. As well as designing trainers for Nike (The Air Yeezy, although he has since decamped to work for Adidas), Kanye has also designed pieces for A.P.C and name drops Louis Vuitton, Christian Dior, Gucci and Maybach throughout his seven studio albums. Passion can only get you so far, though, and Kanye runs the risk of being defined by what he does wrong over what he pulls off. Like many artists of his era, the Prince Of Motown often performed in sharp suits and neat tailoring. 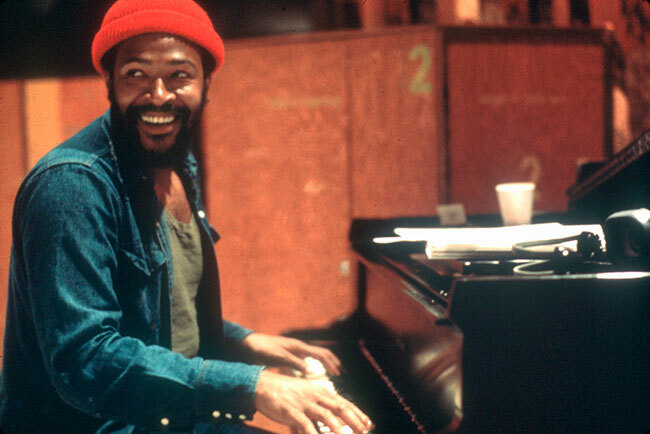 But it was his embracing of traditional American workwear-inspired pieces (think denim shirts, leather jackets, upturned collars, aviators) that let Gaye demonstrate an eye for style and carve a niche for himself as a man who embraced classic style while also doing new and exciting things. 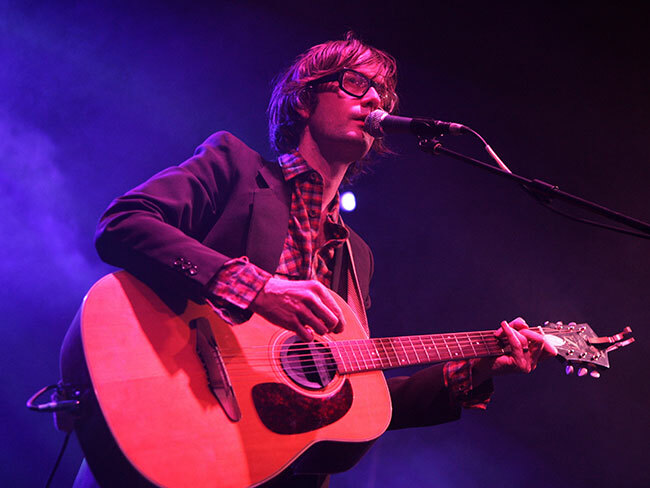 One of our country’s finest sartorial exports, Jarvis’ style reflects his Britpop roots; retaining a working class identity while getting on board with some of fashion’s wildest moments (velvet jackets, anyone?). He was wearing horn-rimmed glasses before hipsters, and his approach to how he dresses is proof that, with the right attitude, nothing is considered too outré. The 50’s jazz scene brought an exciting sense of flair to traditional formalwear, and nobody encapsulated that quite like Miles Davis. Borrowing an Ivy League style (think Brooks Brothers suits, Bass Weejun penny loafers) Davis supercharged starchy, white-American preppiness with his own avant garde flair, a fitting wardrobe that dovetailed with his wildly ambitious music. 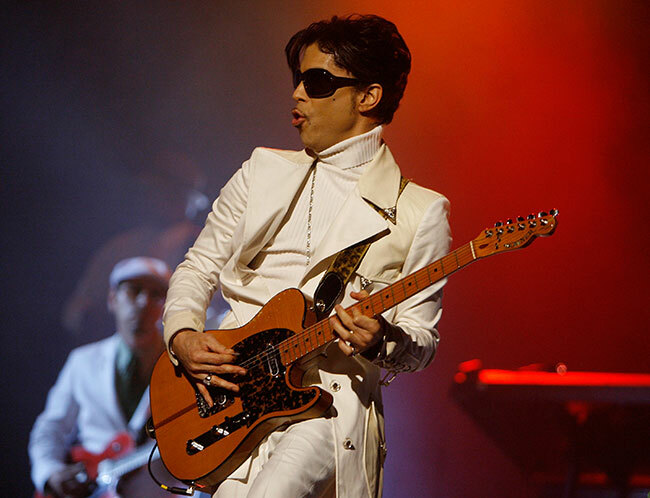 Both visually and sonically there are countless artists that have taken cues from Prince, who used fashion and style as a conduit to develop and construct his own identity. His dynamic, glam-rock looks might not have a place in your wardrobe, but his understanding of expression through his clothes was groundbreaking. 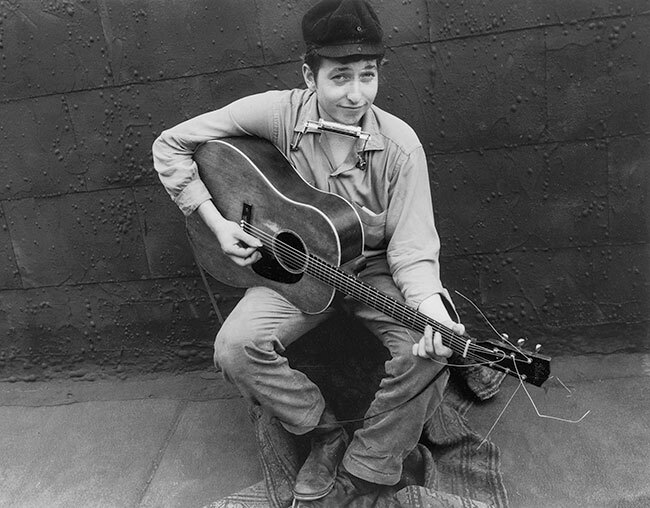 Dylan is an antidote to the garish boundary-pushing icon. A man who retained simplicity through his comfy, rakish workwear-inspired wardrobe and transitioned through a tricky beatnik-y phase, he favoured basics and classic tailoring. Easy to appreciate, and even easier to emulate, the understated, timeless style can be found everywhere from Paul Smith to Cos. Even if you’ve got a bit sick of his sky-high headpieces, Pharrell Williams has earned his place on our list of stylish musicians. From his N*E*R*D days rooted in skate boy culture to his recent collaboration designing shoes with Adidas, Pharrell has embraced tweed, streetwear, high-end fashion (his oft-scorned hat was Vivien Westwood) and has had a huge influence on the burgeoning relationship between hip hop and fashion. 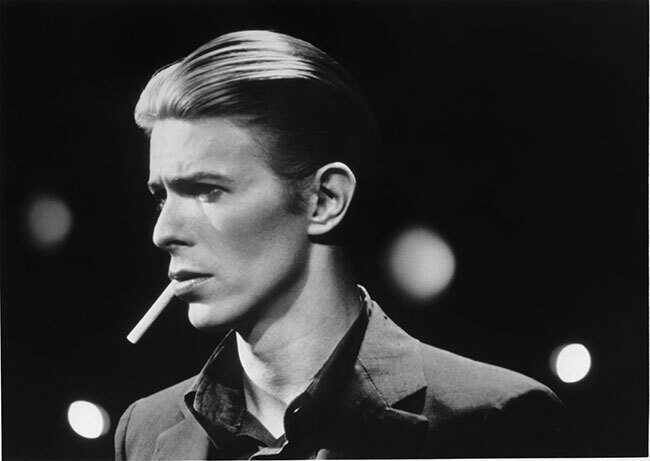 Ziggy Stardust, The Thin White Duke, Aladdin Sane; David Bowie optimizes the notion of a style icon, exploring music through the way he dresses, pushing parameters in order to do bold, new things but never abandoning his identity in the process. The 2013 V&A exhibition explored the development of Bowie as a fashion icon just as much as a musical one, celebrating his transition through mod, glam, boho, soul and hippy sub cultures. People praising Bowie often cite his chameleon-like attitude, but to us, it does him a disservice; Bowie sought to stand out. Blending in was never an option. Charlie Watts, a man with over 200 bespoke suits. 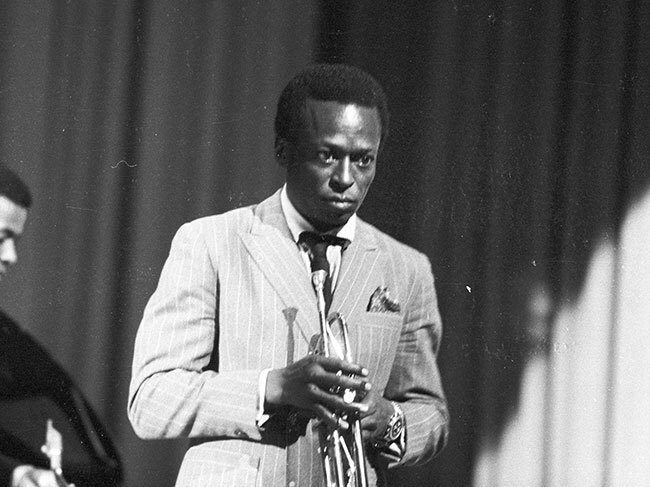 Always looks dapper taking his lead from the hard bop jazz men like Miles Davis. Photos of the Modern Jazz Quartet always show them looking sharp.